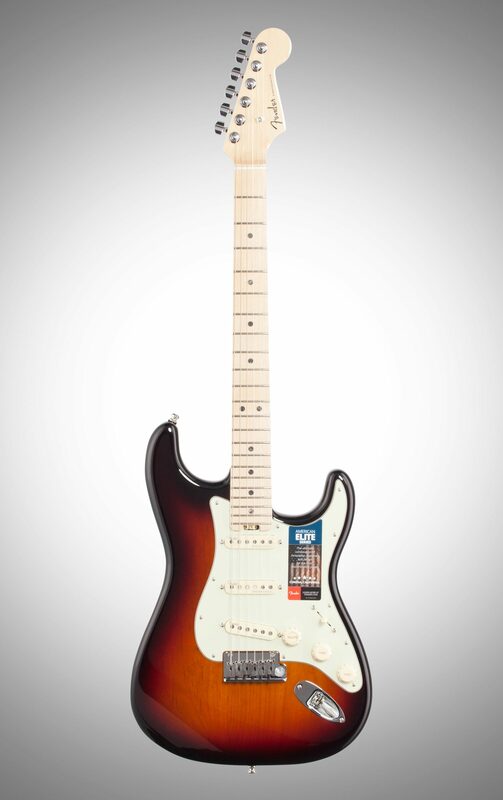 Externally the American Elite Stratocaster has Fender's timeless style, but under the hood it's a breed of guitar designed for 21st-century players who constantly push the envelope. With over a dozen new innovations, each guitar is a true performer with eye-catching style, exceptional feel and versatile sound from the very first moment you plug it in and play. 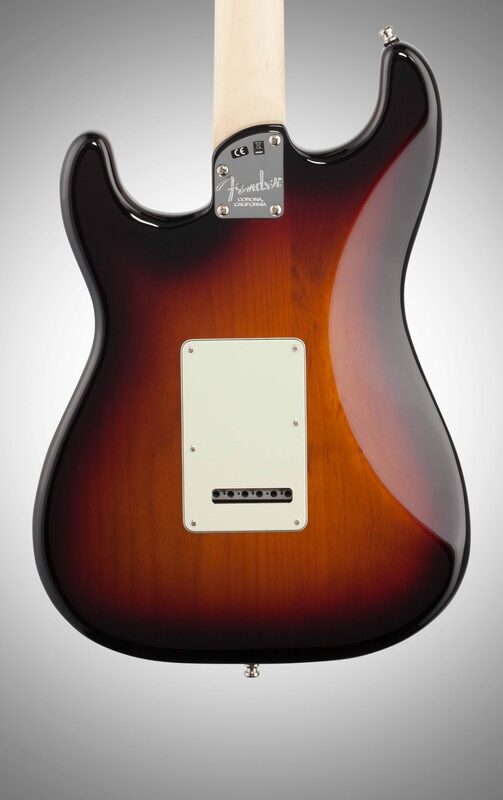 Featured on all American Elite instruments, the fourth generation Noiseless pickups are only available in this series, and represent a quantum leap in pickup design. Combining vintage-style sound with effectively noise-free performance, these are the pinnacle of Fender's noiseless pickup designs, offering pristine cleans and fat, overdriven tones that scream with pure rock 'n' roll power. 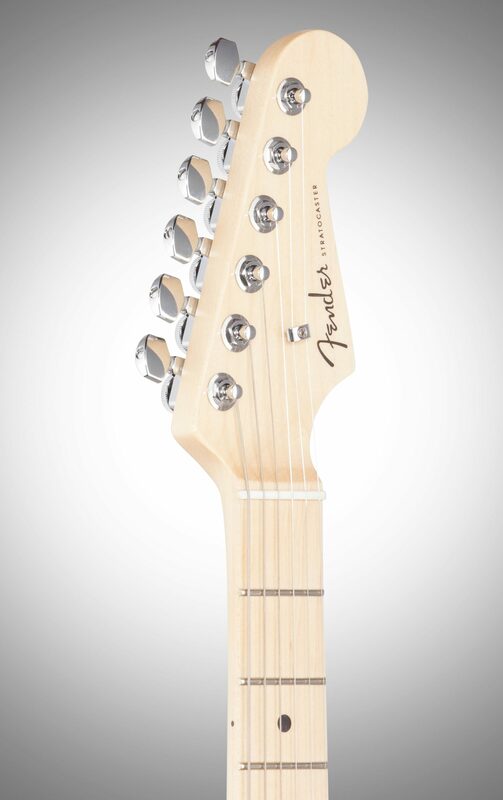 Designed for fast playing and effortless position changes, the compound profile neck is ideal for all playing styles. 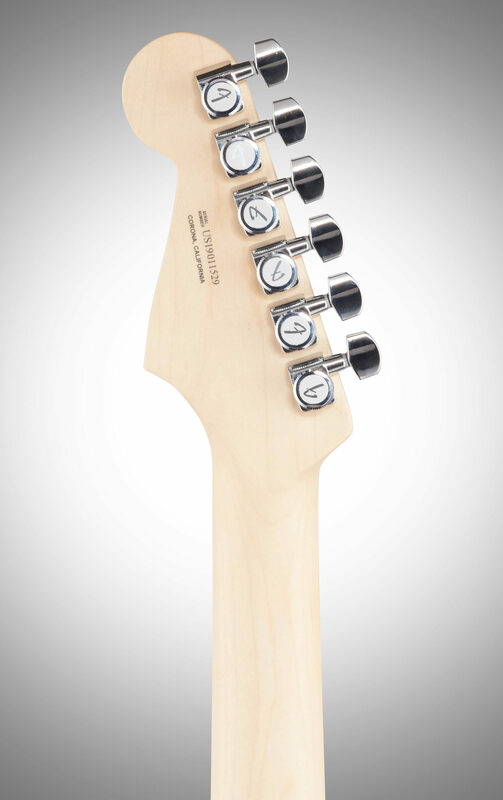 A modern "C"-shape at the nut, the profile morphs along the length of the neck to a modern "D"-shaped profile at the updated neck heel, providing plenty of comfortable support for fret hand antics. Locking short-post tuning machines provide increased break angle at the bone nut for buzz-free performance while the smooth two-point modern tremolo adds emotive touches to your performance without sacrificing your tuning. 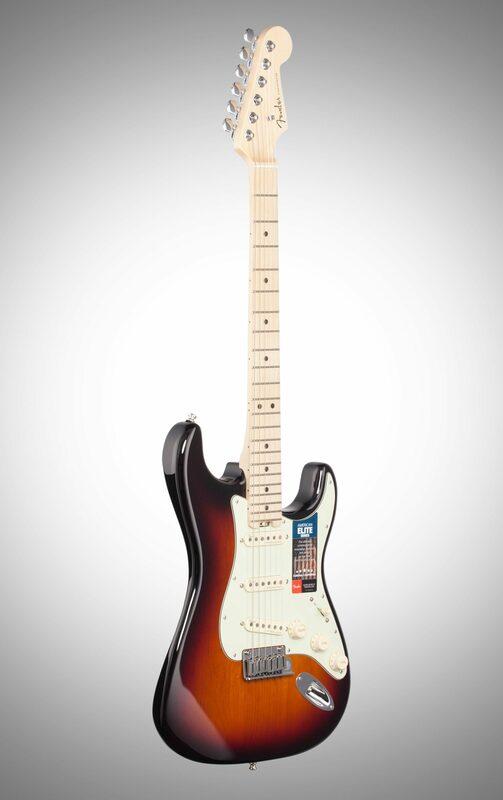 Fender is renowned for head-turning style, and this guitar is no different--from the redesigned sleek back and forearm contours that hug the player's body for an enhanced playing experience to the black chrome headstock logo and large pearloid fret markers this instrument will dazzle the audience with elegant style. 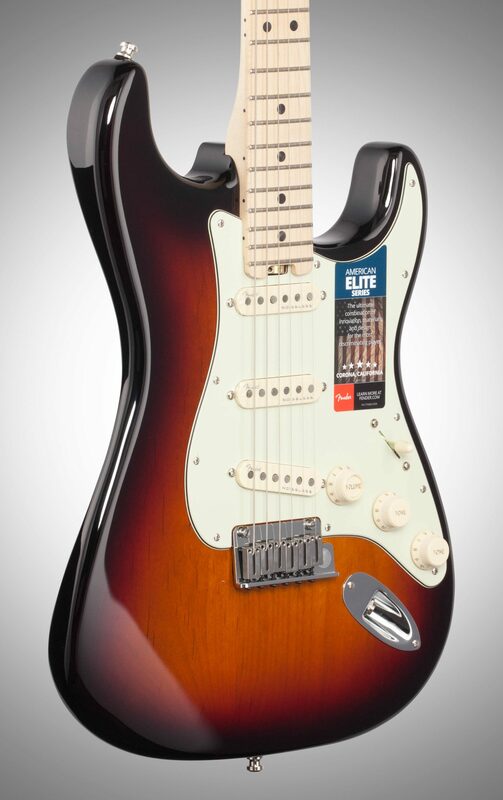 The American Elite Stratocaster is a bold guitar for the brave guitarist who is setting out to cross uncharted musical terrain. Includes a redesigned Elite Molded Case with TSA locks to provide increased protection for your cherished instrument. 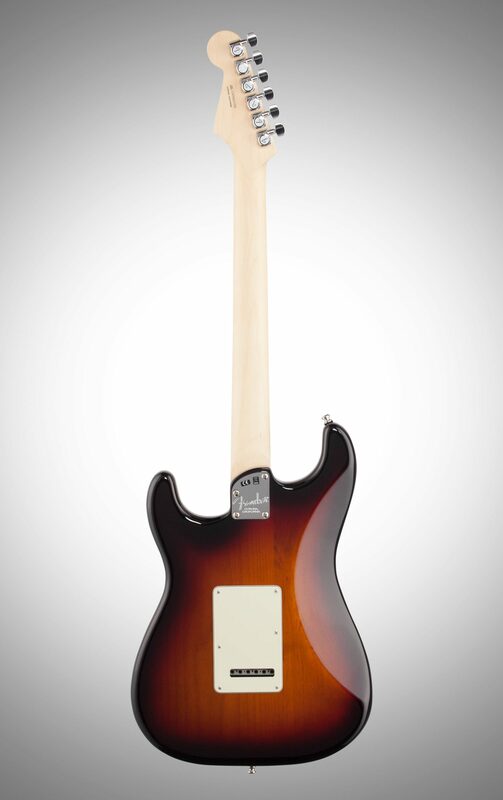 - A modern "C"-shape at the nut, the profile morphs along the length of the neck to a modern "D"
Overall: Let me start by saying that I own another American HHS Strat and a MIM Nashville Tele. I also own a Les Paul Traditional. This has become my favorite. The noiseless pickups are truly noiseless. I can leave it in a stand and hear no background noise. Yet, they are powerful and pack a punch. Well done, Fender. 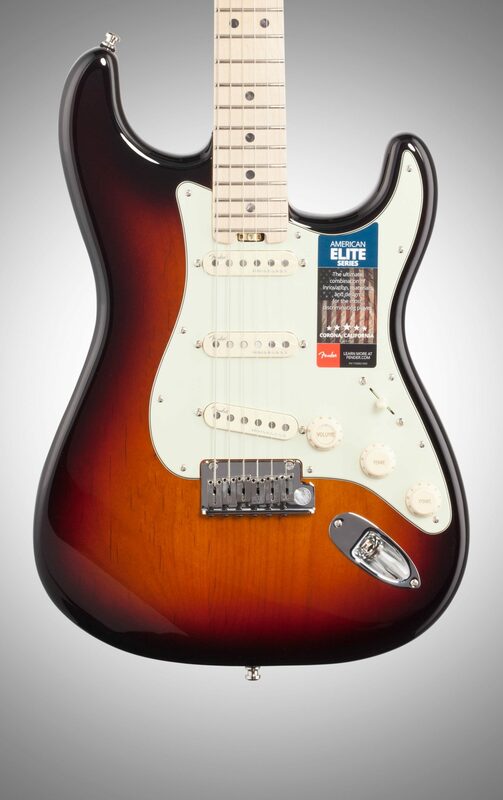 The versatile pickups and blending are outstanding. I have enjoyed my few days with this new guitar. Overall: The neck is amazing. It's almost too fast as I've slid past my target a couple of times. I was a little worried about the pickups, as I've had guitars with every noiseless version over the years. These are true Strat pickups. I'm a fan of the 2nd and 4th positions and these have that thing. They crunch well too. All the videos I've seen are focused on the clean sound, but these rock. The finish is beautiful. It stays in tune well. It's very comfortable to play. I dig it. 28 of 29 people (96.55%) found this review helpful. Did you?